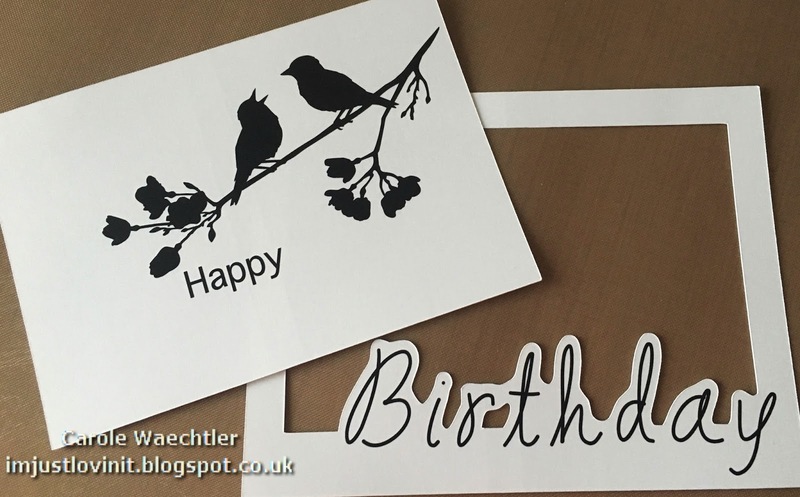 I had lots of fun making these cards using my Silhouette Cameo and my Minc foiling machine. To be quite honest, I've had my Minc for almost a year and haven't used it much, it was away in a cupboard.....you know how it is! 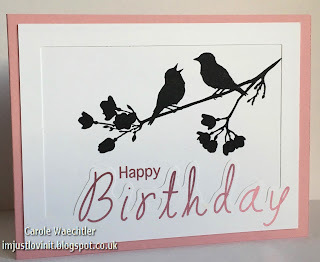 Most of my cards and projects these days are Silhouette based because I still love Silhouette crafting more than any other type of crafting. To mix things up a bit and to start as I mean to go on this year (use what the crafty supplies I have! ), I took my Minc out of it's hiding place and put it to work. I made a few of these cards. It took me a while to come up with a plan and to make the Silhouette file so whilst the Minc was out, it seemed a good idea to make more than two! I was rather pleased with how they turned out! 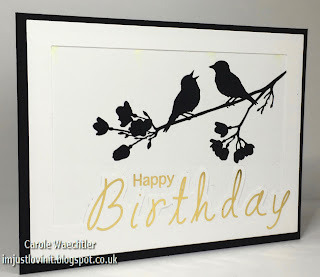 The birds on the branch image is from the Silhouette store and I used fonts on my computer for the words. Wishing you all lots of Silhouette crafting time, using what you have! I'm back today to share with you all another stamp that I've made using my Silhouette Mint, for my 2016 planner. Just like the last stamp I shared with you, I'm hoping to be using this one quite a bit too! Sometimes I get carried away with crafting, designing and making pretty stuff and forget the other important stuff I have to do! I thought I'd use this little stamp in my planner at least two or three times a week. I could have added a border around the words, arrows and the little frog, but I guessed that would restrict the space I could use to write, so I decided to leave it without a border. You will see from the picture above what I mean about space to write. The stamp is a 45mm x 45mm one, which is just about the right size for my planner. I hope this gives you a little inspiration, a different idea for stamp that is great "custom made" by me for me! Hope you find some time to use your Silhouette machines soon. Silhouette Mint & Planning for a "dry" January! I hope my blog finds you well and rested after the festivities of the season. I've had an Arc planner for a couple of years now, I use it as my day to day diary and so far haven't used it to set goals etc. It's a large one, its A4 in size and normally resides somewhere in my kitchen, open at the current week. This year I will try and use it more wisely and decorate it like those "crafty planning/organised/goal setting kinda ladies" do! I've always wondered how they have time to make, organise and decorate their beautiful planners and get the jobs done, we'll see if I can work it out! 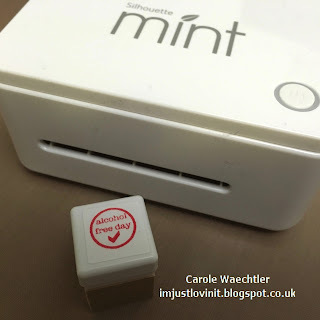 Not wanting to rush in with lots of time consuming bits and bobs, like stickers and charts and various lists that I could download from the internet, I thought I'd start with a couple of Silhouette Mint stamps, easily made for myself to stamp into my planner. Here in the UK the government regularly try and scare us half to death about how many units of alcohol we should and shouldn't consume in a week. 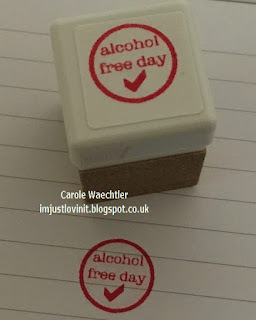 They have a campaign running in January each year where they encourage us to have the whole month alcohol free! 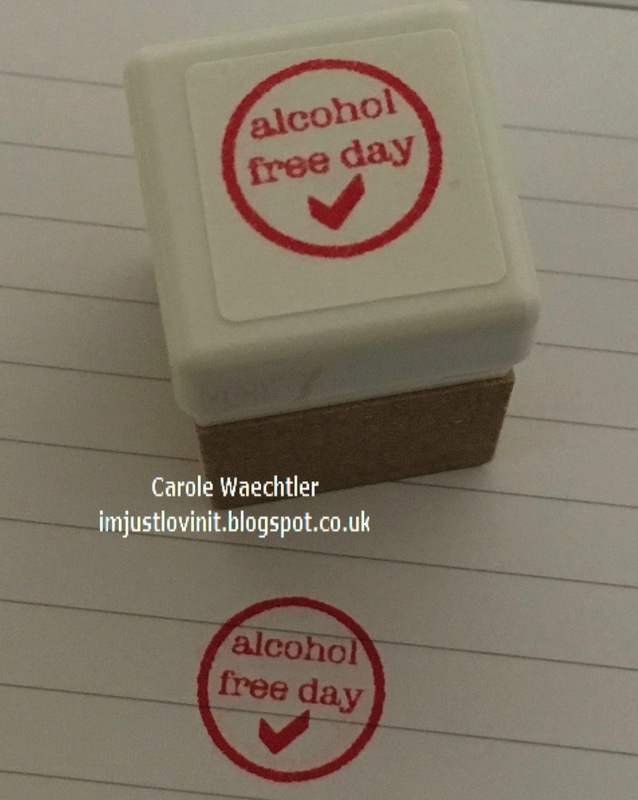 One of my goals for 2016 is to try this out so I made myself a little stamp. 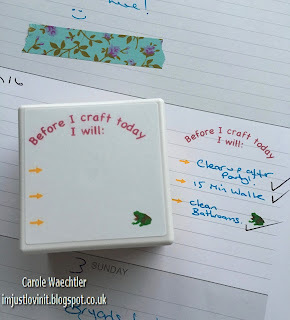 At the end of each day, I can give myself a little stamped reward in my planner - lets see if that works! ...afterall, I'm well settled with my glass of soda water with a dash of ginger & lemongrass cordial, it's refreshing, warming and perfect for this time of year. 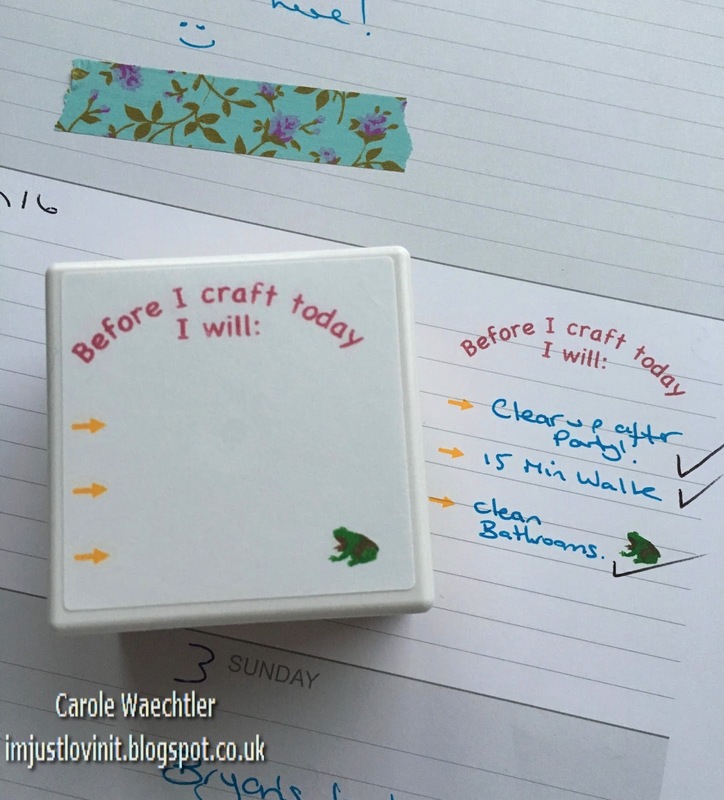 I've got another great idea for my planner, which I will share with you when I've got a moment! Until then, I hope you get some time to craft, plan, set some goals and get organised for a fantastic 2016!